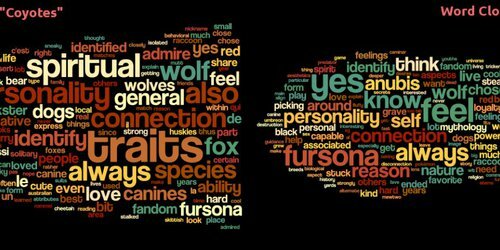 Word Cloud - Why are you a wolf/fox/husky? 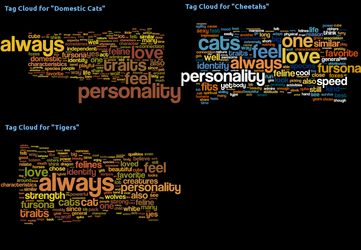 Word Cloud - Why are you a feline? 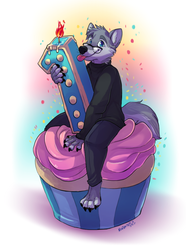 This is the home on Weasyl for [[adjective][species]](http://adjectivespecies.com), a group of writers and blog exploring the furry world from the inside out. 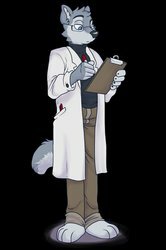 Furry could be said to be a lot of things, but above all, it’s a collection of people. People, with all of their differences and similarities, their overlapping sub-societies, their petty arguments and tangled relationships. 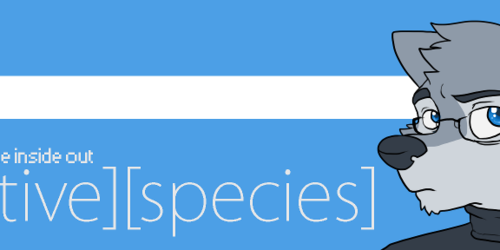 The goal at [adjective][species] is to take a look at that from the inside (and maybe occasionally from the outside) and explore this jumble of a fandom. 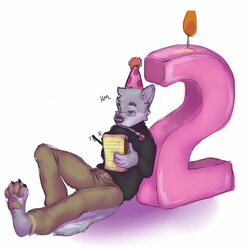 We’ll poke fun and joke around but never be mean; we’ll be a little snarky but always be honest; and we’ll probably abuse literary techniques like hendiatris and labyrinthine sentence structure – because, hey, we’re pretty damn furry, too. The 2013 Furry Survey is available! In addition, there are several other additional surveys running, many of which lead to data visualizations. More to come soon! Interested in joining us?